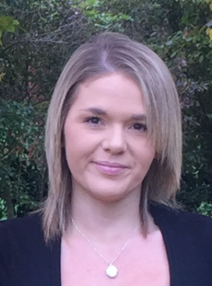 I am a qualified counsellor who specialises in working with young people. My training was integrative, meaning I am able to draw upon a number of different approaches depending on the needs of my client. I've found that some clients thrive just having a witness; someone to listen and offer an empathic ear, whilst other clients like a more structured approach with strategies and techniques. I recognise there is not a one size fits all approach. I can tailor our work together based on your needs and what will work best for you. I have experience of working with young people with mild to moderate and severe mental health difficulties. Some of the presenting issues my clients have had are; anxiety, low mood, self harm and suicidal ideation, bereavement, family break down, previous (or current) domestic violence, relationship/friendship difficulties, bullying, cyber bullying, drug and alcohol related problems, all levels of abuse (physical, emotional, sexual), low self esteem or self worth, self destructive behaviours, among others. I have been afforded the opportunity to work with young people who are on the autistic spectrum and those who have difficulties such as ODD, ADD, ADHD or PTSD to contend with. I provide a safe place to enable you to talk through your concerns and thoughts without judgement to enable you to unravel your problems and see them from a different, more manageable, perspective. In order to get the most out of the counselling process it is so important that you feel comfortable with your counsellor. I offer a half price first assessment session. This is to enable you the opportunity to make sure we can work together.